February is Spay/Neuter Awareness Month with World Spay Day occurring on 23rd of the month. This day is an international call to action that promotes the spaying and neutering of pets, street cats and street dogs with a view to saving lives. At Bark Busters we are all about dogs and it saddens us to hear about the numbers of dogs abandoned onto the streets to fend for themselves with risk of death from shooting, poisoning or simply starvation. Our trainers and therapists from all around the world volunteer their free time to rehabilitate rescue dogs in shelters with the hope of re-homing. In 2015 several of the Bark Buster UK therapists travelled to the Greek Isles of Santorini to volunteer at SAWA, a rescue centre, whose staff are responding daily to the crisis situation of street dogs on the island. Many of the dogs abandoned onto the streets of Santorini are there through no fault of their own. ? just victims of an economic downturn and a failure to neuter. World Spay Day invites people to raise awareness of the importance of spaying/neutering and even to help raise funds to bring the simple operation within the means of everyone. So let's look at the benefits for your dog. The 'marking' of territory may be reduced or eliminated. Spaying and neutering are unlikely to affect your dog's working abilities, and should not alter their personalities or their weight. 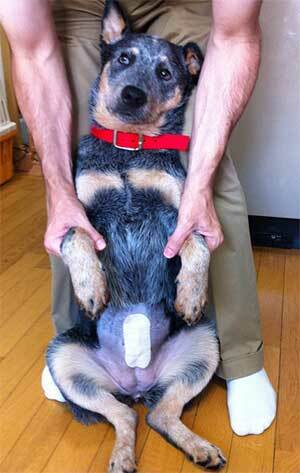 Therefore, owners must not regard such surgery as a quick way to fix serious behaviour problems. It is important to consult a dog behaviour professional such as your local Bark Busters Home Dog Training Therapist, if you are having behaviour issues with your dog. They, along with your vet, will help you decide the best way forward for you and your dog.